obj can be DataSet, Group, or named DataType, that is a datatype that has been named by DataType::commit. Referenced by getLocId(), getNumObjs(), and getObjId(). 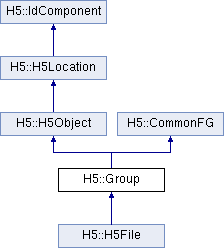 This function opens an object in a group or file, using H5Oopen. Thus, an object can be opened without knowing the object's type. References getId(), H5::PropList::getId(), and throwException(). Referenced by close(), closeObjId(), getNumObjs(), and getObjId().